My name is Cotter, I play in a band called Swimmer from Burlington, VT. I was hoping to start a archive page for the band, for us and fans to upload live show recordings (no limitations to what is uploaded). 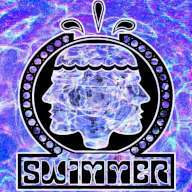 Our music can be found at swimmermusic.bandcamp.com, and our facebook is facebook.com/swimmermusic. Let me know if you need any other information!